Modifies the Fire Breath and Frost Breath Shouts to function concentratively, identically to dragons. Took into account a fix from the Unofficial Skyrim Patch using my TES5Edit skills which I didn't have when making this mod. I should not ever have to update it again. Concentrative Shouts changes the Fire Breath and Frost Breath shouts to function concentratively, like how dragons shout. One word results in a weaker dragon's shout. Two words produce a more powerful shout, like a frost dragon's. Three words result in some serious business, equivalent to an ancient dragon's shout. When shouting at Paarthurnax with the concentrative shouts, he will become aggressive. Temporarily deactivating this mod and shouting at him with the original Fire Breath will solve this problem. 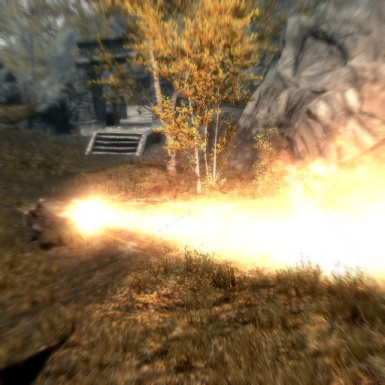 Improved Dragon Shouts and Thunderchild are mods known to be compatible with Concentrative Shouts. This mod's intended to be loaded after either of those.